Looking for a new gaming mouse to help raise your, undoubtedly, mad skills and increase your odds of winning? Of course you are! We all want to win! So stop stressing over which one to buy, chill out, have a massage because we have got you covered. I have personally looked far and wide, peered into every Internet gaming hole, and trudged through the swamp of gaming peripherals to bring you the very best gaming mice for under $20. So come on, lets take a look. 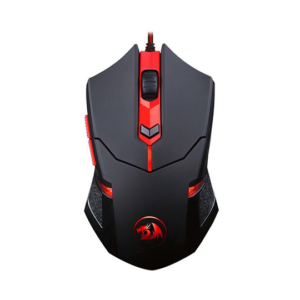 Redragon M601 CENTROPHORUS-2000 DPI Gaming Mouse for PC, 6 Buttons, Weight Tuning Set. Need a mouse that is light, agile and easy to manoeuvre? Then read on to find out why the Redragon Centrophorus could be the mouse for you. The Redragon was designed with one simple goal in mind: to be as agile as possible. Everything about this mouse has been tailored for that one goal. The designers of the mouse must have been taking note of Sir Isaak Newton, as they understand that the heavier the mouse is the longer it takes and the harder it is to move. Think of the difference between an 18 wheeler and an F1 car and you will get the idea. Simply put, heavier mice do not make better mice. And the Redragon is as lite as they get. 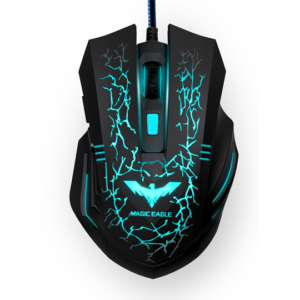 The first thing to help make this mouse the first choice for the fast reflex gamer is the grade of plastic in use. ABS plastic is used throughout the its construction and this gives the Mouse a strong, rigid feel. A good thing then because when you inevitably throw against a wall due to yet another bad game, it wont break. But it is also a very lite plastic and every other material within the mouse is kept to bare minimum. Talking about other materials, the Redragon has a number of small weights included that fit into the bottom of the unite in small holding area. I have thought about this, and I have come to the conclusion that it is because there are some people out there that, no doubt misguided, think extra weight helps when using a mouse. Your wrong, it doesn’t help. Take the extra weights out, throw them away, you don’t need them. The last thing that helps to amplify the agility of this mouse is the next generation Teflon feet. Couple these slippery pads with a high grade mouse mat and it will feel like the Centrophorus has got an anti gravity unite built right into the bottom of it. It feels that good. So if you are looking for a lite mouse, and you should be the red dragon is definitely a mouse you should be considering. 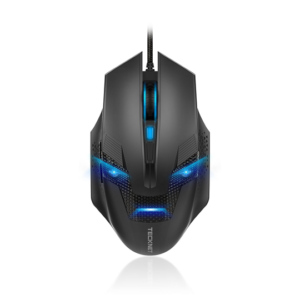 The Havit is as average a gaming mouse as you are likely going to get in the sub $20 category. For example, it’s got 6 buttons just like every other mouse. It has scroll wheel, standard these days. It has a DPI 2400, pretty low and exceeded by many others at this price point. So what is it that makes it stand out, what is it that is going to drive you to a sales page on amazon to snap it up? Because so far, lets be honest, I haven’t exactly built it up have I. But there is light, literally, at the end of this particular tunnel. You see, the Havit comes with one feature that makes it stand out from all the other mice on this list: it has its own light show to put on. This mouse was deigned to add to, no, no, it was designed to augment and go beyond any existing PC lighting you already have. The mouse has an interesting cracked appearance on its upper surface. And, when not plugged in, appears almost invisible. But as soon as the mouse is on, light spills upwards from the cracks and adds depth the faux crevices. If you were ship wrecked at sea and you miraculously had a power source and this mouse in your pocket, because when its this good why wouldn’t you, you could use it to signal passing ships in the darkness. It honestly that bright. And It looks extremely impressive. It is extremely impressive. Additionally to this, not only is the Havit LED super bright, it can change to 7 different colors. Not a huge amount of options but enough so you can pick out a favorite. So not just a mouse, but a potential life saver at sea, the Havit will change your perspective on the aesthetics a mouse can offer you outside of its basic use. In other words: it lights up and its pretty. Go buy it now. Looks like a transformer. Nuff said. So if you want a mouse to show off to your friends and comes with all the latest technology, then this is one that could float your gaming boat. First of all I have to get it out of the way, this thing looks fantastic, it looks like a freaking transformer head. If you don’t mind a mouse that looks like a severed robot head, and quite frankly, who doesn’t, then you need to check this out. Every time I look at the thing I’m expecting it to transform into a little robot and start shooting me in the face. It has LED lights where the eyes would be so it always looks as if its gazing back at me. That is of course, until I face palm his head ready for some gaming. But there are even more LED lights that punctuate the mouth area to give that complete, robotic feel. Though why a robot, that doesn’t eat would have a mouth is beyond my understanding, but that’s for another article for another time. But thankfully, the mechanized robot appearance isn’t just for show, and hopefully wont be transforming any time soon and running off. 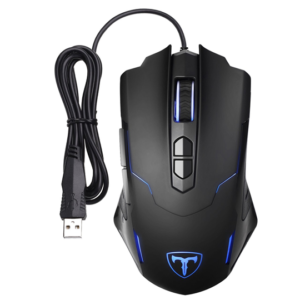 For beneath that Optimus Prime, or is that Megatron, look is a mouse that has been ergonomically designed to decrease your fatigue for increased stamina for long term gaming. You get an average mouse that is terrific for gaming and will be a step up from any of the rubbish that Microsoft will hard sell you. It comes with all the ease of use features and basic customizable features you would expect. But when its comes down to it. Your not buying this mouse because of its features. And your not buying it because of its DPI or its perfect ergonomic feel. But you are buying it because it looks like a transformer, And that my friends, is worth the price of entry alone as far as I am concerned. So, if you want a mouse that not only does the business in gaming but will impress your friends with its robots in disguise looks, this is the mouse for you. Do you like to play the sniper in game, hiding in the corners of the map, picking off unsuspecting Newbies? Yes? You camper! I knew it was you that shot me from that tree the other week! Sorry, breath Nick, Breath. Anyway, to be sure you get those long shots off from your little hole, your going to need insane levels of accuracy. So this might be the mouse to help you stay hidden. 9200 dpi, need I say more. Massive, huge, stunning levels of accuracy. A level of accuracy that should, probably, be illegal. If you’re gamer that plays counterstrike, a lot of battlefield or any other game where you can pick up a sniper rifle you will understand how crucial it is to have as much accuracy as possible and this is where the Zelotes shines. This mouse was made for would be snipers as it offers up a Huge 9200 dpi worth of accuracy. A massive number that is nearly double every single other mouse I have been able to find at this price point or any other price point for that matter. If precision is your thing then you need to stop looking as this is the mouse for you. But the Zelotes offers so much more. 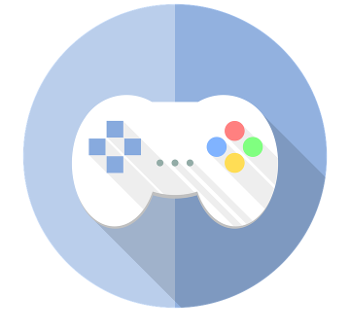 Its extremely lite so you won’t feel like your gaming sessions are like a gym session. And it comes with a plethora of programmable buttons, it has buttons on top, buttons on the side, buttons on the front, other buttons in other places. You get it right? Buttons pretty much everywhere. But the most impressive thing is the DPI. And couple that with a polling rate of !000hz means the mouse will always know exactly how much you move it on whatever surface you decide to use it on. 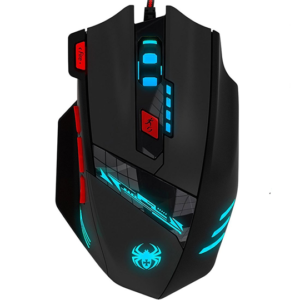 If you want to get a gaming mouse that will awaken the true sniper within and offer a package that more expensive mice would die to have, then this is the mouse for you. Do you have a tweak-ability, configuration and general personalization fetish? Yes, I thought so. Well then, maybe I have found a mouse that can for-fill your cravings and more. ‘Unbelievably configurable.’ That’s the first thing I thought when I first picked this mouse up. So. Many. Options. Must. Buy. Said my mind. Make no mistake. This Mouse is a technological marvel. I am still wondering how it is sold for under $20 to the point where I’m thinking, do I really need to even both writing an article about mice under $50 any more? For the record yes I do, because I want to and, well, Because I’m paid to. So, for your $20 you get a menagerie of options that gives you all the tools and choices you could ever need to enter a tournament and win. You can change the use of every button on the mouse and then, mid game, you can set a different button to change all the other buttons. It sounds complicated, and it is, but when you get your head around it in motion, its seriously impressive stuff. And the configurability doesn’t end there. The mouse comes with software that lets you tweak everything and anything you could desire. Want to increase button sensitivity? You can do that. Howe about DPI? Yes Tomoko has you covered there. What about an increased optical polling rate for when the mouse is on an uneven surface? Yes, you guessed it, you can change that to. If you want to be able to personalize the feel of your mouse, then nothing comes close to what the Tomoko can offer. And just as with feel of the mouse, the personalization extends to its looks. The mouse comes packing a number of LED lights throughout its body to enhance its appearance and, just with the rest of the mouse, you can play around with these to. You can set the LED color from a rather sizable if a little overkill selection of 16 million colors. A staggering choice. So with both look and feel covered, perhaps you are starting to see that there are more options on this mouse than you are ever likely going to need. The only thing you can’t really do is change the material the mouse is made of. But I’m sure if some nanotechnology gets invented by some crazy scientist, Tomoko will be the first in line to slap a button on it so you can configure the planet eating Grey Goo to your hearts content. So what can I say that I haven’t said already. This is probably the best mouse you can get at this price point. It feels great, it looks great, and it gives you all the options you could shake your gaming stick at. No, not that stick! So, stop looking because for $20 it doesn’t get any better than this.